Not too many years ago straight actors were being praised for being ‘brave’ for playing a single gay role, but then never playing an LGBT part ever again – partly because agents thought two gay roles would harm someone’s career. Now though we have people like Armie Hammer, who’s played several gay roles and is currently has two of them back to back, with the acclaimed Cale Me By Your Name and the Stanley Tucci written and directed biopic Final Portrait. Although the Oscar-nominated, gay-themed film, Call Me By Your Name, seems like a self-contained movie, director Luca Guadagnino has been talking about the possibility of turning it into a series of films, possibly made over several decades. Now he’s been talking about what the first of those follow-up movies may be, and where the story may go after Elio (Timothee Chalamet) and Oliver’s (Armie Hammer) romantic summer in Northern Italy in 1983. Vecchiali’s 1988 movie was the first French film to deal with AIDS. There is some material to draw on for the follow-up movies, as the final 40 pages of Andre Aciman’s original novel detail what happens to Elio and Oliver in the 20 years after the main storyline. However, it’s not known if Guadagnino plans to stick to this or take it in a different direction. The Golden Globes were handed out last week and the Oscars and still to come, but sandwiched between them is the Dorian Film and TV Awards, given out by GALECA: The Society of LGBTQ Entertainment Critics (of which yours truly is a member). 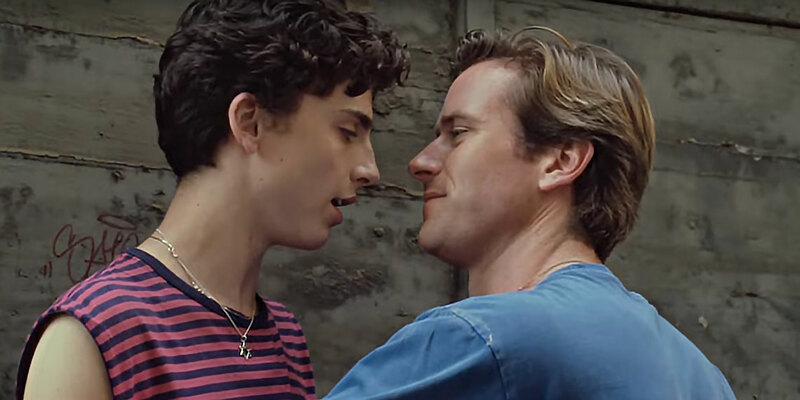 The nominations for this year’s gongs have been announced, which were unsurprisingly led by Call Me by Your Name, which scored nine nominations. That includes nods for both the film’s lead actors, Timothee Chalamet and Armie Hammer, as well as for Best Film, Best Screenplay, Best Director and more. While other film awards have treated Call Me By You Name as the ony great gay-themed movie of the year, GALECA has highlighted others, most notably the excellent French movie, BPM (Beat Per Minute), about members of the activist AIDS organisation ACT UP Paris in the late 1980s and early 1990s. As well as expected nominations in the Best Foreign Language Film and LGBTQ Film Of The Year categories, it also scored nominations for Best Film, Best Actor (for Nahuel Perez Biscayart) and Unsung Film Of The Year. It may also not be a coincidence that the other nominees for Best Film also had stories that focussed on outsiders – Lady Bird (which also features a prominent gay subplot), Get Out and The Shape of Water. Nods for LGBTQ Film Of The Year went to Battle of the Sexes, the excellent trans-themed Chilean drama A Fantastic Woman, and Britain’s gay farming flick, God’s Own Country, along with Call Me By Your Name and BPM. Other than Call Me By Your Name, the most nominations in the film categories overall went to The Shape of Water with seven nominations, and Get Out, which scored six. There’s currently a lot of speculation over whether the Oscars will shower praise on Call Me By Your Name or ignore it. Either way, it’s become one of the most praised and highest profile gay-themed releases of the past few years, and has certainly filled a lot of column inches. Now director Luca Guadagnino has suggested this may not be the last we see of Elio (Timothee Chalamet) and Oliver (Armie Hammer). He’s previously hinted that he’d be interested in a sequel, but now he’s posited the idea of a series of films, potentially told over many years. There is material for this, as while the film suggests a finality to the love affair between 17-year-old Elio and 25-year-old Oliver, the original novel it’s based on quickly details what happens to the duo over the next couple of decades. Apted’s Up is a documentary series which has followed the same group of people from when they were seven, with the last film catching up with them when they were 56. Antoine Doinel meanwhile was essentially Truffaut’s alter-ego, who he included in several features and short films, over the course of more than 20 years. This suggests that rather than an imminent sequel, Guadagnino envisions waiting a few years and then making a move that catches up with his characters, or perhaps just one of the characters, and shows up where their life has gone. It’s certainly an interesting idea, although one that is pretty ambitious, so even if he wants to do it, there’s no guarantee he’ll be able to. Equally, Call Me By Your Name is such a potent mixture, not least 89-year-old James Ivory’s meticulous and brilliant screenplay, that it would be difficult to capture lightning in a bottle again. It’ll certainly be interesting to see if it happens. It still seems wrong that it’s not even the end of the year – with multiple major movies still to be released – but critics groups and awards ceremonies are already announcing their nominations and winners for the best films of the year. It’s largely due to the fact that a few years ago the Oscars decided to move closer to the start of the year, so all the other ceremonies and announcements also moved their dates up, many into early/mid-December. Today one of the main bellweathers for the Oscar race was announced, the Golden Globe nominations. They were led by The Shape Of Water, which picked up seven nominations. It was a stronger showing than many expected, especially as it was competing in the Drama section (rather than the usually less competitive Musical or Comedy categories), and will help ensure that eyes are on it as we enter Oscar season. Spielberg’s timely journalistic drama, The Post, was next with six nominations, the same number as Martin McDonagh’s Three Billboards Outside Ebbing, Missouri – a film few had heard of until recently, but which is now shaping up to be a major Oscar contender. However, it just goes to show what an open race it is, as Call Me By Your Name, which has picked up several of the earliest Best Film awards, got just three nominations. It even missed out on a Best Director nomination of Luca Guadagnino, which many think it has a good shot of winning the Oscar for. However, all its noms were in major drama categories – Best Film, Best Actor for Timothee Chalamet and Best Supporting Actor for Armie Hammer. Other than Call Me By Your Name and a couple of nominations for the loosely LGBT-themed Battle Of The Sexes (Best Actor and Best Actress for Steve Carrell and Emma Stone), there wasn’t much gay love in the film nominations, although Will & Grace picked up two nominations in the TV awards. There was also a love for female drama (of a rather camp-nature, it must be said) in the TV nominations, as they were led by six nomination for Big Little Lies and four for Feud: Bette and Joan. Both of those came out ahead of what many thought would be the leader – The Handmaid’s Tale, which only scored three nominations. However, the biggest surprise for gay film fans was BPM missing out on a Best Foreign Language Film nomination. Many Critics Groups are expected to choose it as their best non-English Language movie (the The New York Film Critics Circle and Los Angeles Film Critics Association have already done so), so the fact it’s not even on the noms list for the Globes is a big surprise. Although things could change between now and March 4th, at the moment Armie Hammer is the frontrunner for the Best Supporting Actor Oscar. However, one person who hasn’t – and probably won’t – watch him in his acclaimed role in Call Me By Your Name is his own mother. In the movie, Hammer plays a post-graduate student who goes to Italy for the summer, and starts to fall in love with the teenage son of his professor. Talking to Andy Cohen, he’s revealed of his mother, “I don’t think she’ll see the movie”. It’s been quite a busy few days for Hammer and Call Me By Your Name. The movie scored the most nominations at the Indie Spirit Awards a few days ago, and yesterday pick up Best Picture from the Gotham Awards. Both those have been seen as good signs for a strong Oscar showing. It’s been a great year for gay-themed movies at the Independent Spirit Awards – the gongs giving out shortly before the Oscars, which acnowledge and celebrate those film made by and released outside the Hollywood studio system. 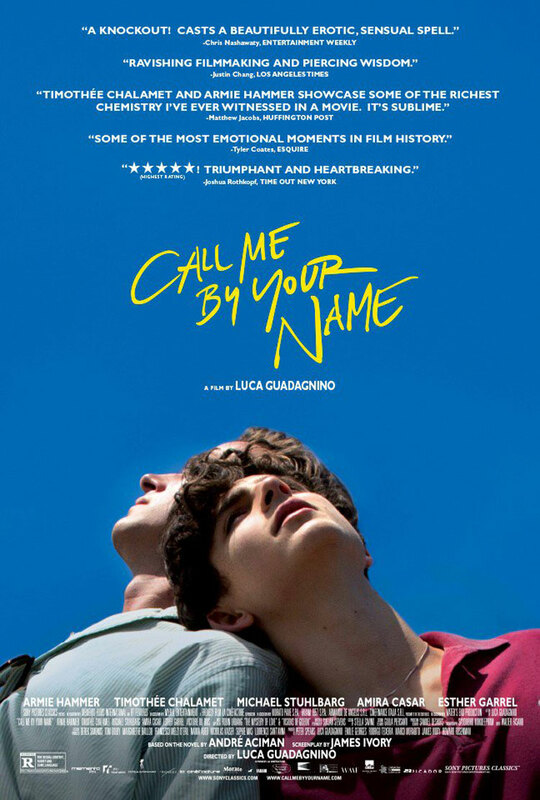 Leading the pack is the acclaimed Call Me By Your Name, Luca Guadagnino’s movie about two young men falling in love in italy in the early 1980s. It scored six nominations, including Best Feature, Best Director, Best Cinematography, Best Editing, Best Male Lead (Timothee Chalamet) and Best Supporting Male (Armie Hammer). The Independent Spirit Awards used to largely be a way to celebrate movies that were ignored by the Oscars, for the past few years the winners have been the same (five of the last six Indie Spirit Best Feature winners have also picked up the Best Picture Oscar). That suggest Call Me By Your Name has just taken a big step closer to Academy Award success. It wasn’t the only gay-themed movie picking up nominations, as Beach Rats was nominated for Best Cinematography and Best Male Lead for the excellent Harris Dickinson. The much loved and praised French movie BPM (Beats Per Minute), about the rise of the activist organisation ACT UP in the early days of the AIDS crisis, is nominated for Best International Feature. Away from the gay front, other films being giving love include Jordan Peele’s hit Get Out, and Good Time, starring Robert Pattinson, which both scored five nominations. Lady Bird and The Rider meanwhile got four apiece. There was lots of praise and plenty of column inches written follow Call Me By Your Name’s debut at Sundance, ensuring there’s plenty of anticipations for its cinema release. To give us a frsh taste of the film, a few clips hve been released, including one of Armie Hammer dancing in his very own special way. Here’s the synopsis: ‘It’s the summer of 1983 in the north of Italy, and Elio Perlman (Timothée Chalamet), a precocious 17- year-old American-Italian boy, spends his days in his family’s 17th century villa transcribing and playing classical music, reading, and flirting with his friend Marzia (Esther Garrel). ‘Elio enjoys a close relationship with his father (Michael Stuhlbarg), an eminent professor specializing in Greco-Roman culture, and his mother Annella (Amira Casar), a translator, who favor him with the fruits of high culture in a setting that overflows with natural delights. While Elio’s sophistication and intellectual gifts suggest he is already a fully-fledged adult, there is much that yet remains innocent and unformed about him, particularly about matters of the heart.